Arepas are technically Latin style pancakes that can be made either sweet or savory. Most of the time, they're savory and can incorporate different flavors and ingredients. 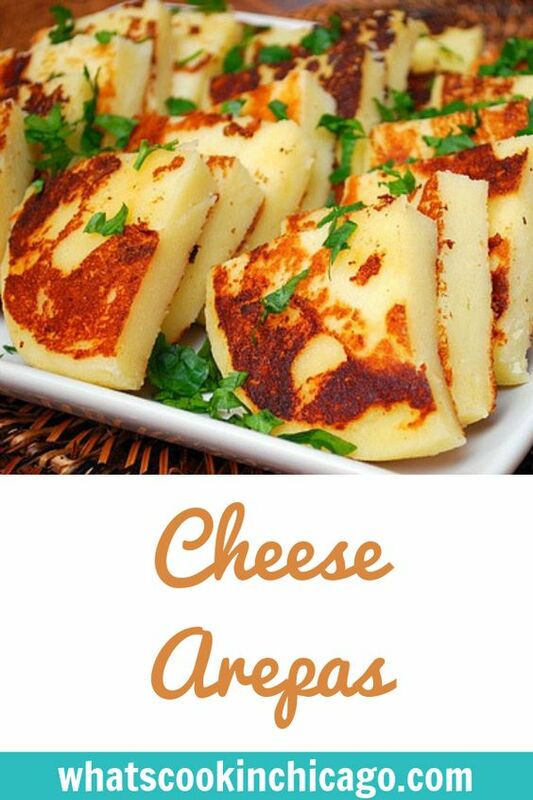 The most common are cheese arepas but you can make them filled with herbs, vegetables and even meats like chorizo or chicharrones (pork rinds). I've made a few kinds of arepa recipes the past few months but this definitely is one of my favorites and its so easy too. The only unique ingredient in the recipe is the arepa flour, which is precooked cornmeal. I purchased this at local Latin markets but you should be able to find it in the Latin aisle of most grocery stores. (I recommend the Goya or Pan brands.) They're delicious on their own as a snack, as a side dish (in place of bread or a starch), or even as a meal when used as a base for an open faced sandwich or pizza. 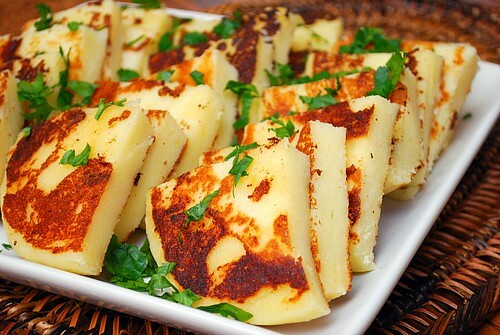 Have fun with arepas... it's a dish everyone should try at least once! Combine arepa flour, salt, sugar, and mozzarella in a large bowl. Add hot milk and stir until combined. Let mixture stand until milk is absorbed enough for a soft dough to form, 1 to 2 minutes (dough will continue to stiffen). Heat ‚ tablespoon oil in a large nonstick skillet over moderately low heat until hot, then cook 3 or 4 arepas until cooked through and golden in patches, 6 to 8 minutes on each side. Make more arepas in same manner, adding oil as needed. Is it bad that I wasn't even sure what Arepas were? I love me some cheese and I love experimenting with different cuisines. This looks so simple and quick, I'm trying this very soon! Arepas... hmm. heard about them, but never tried them before, but they look super tasty from your picture!